Sorry I have not posted for awhile but really did not have much going on that I thought would be of interest to my faithful followers! Yesterday was playing with my chickens! We moved the older chicks outside to get some sun! And here is Gerald giving herself a dirt bath already! And of course my big girls were bathing as well. Cruella is the only one laying so far… I keep hoping the other two will start soon as they have a darker brown egg and a light tan egg. Today Mark and I went to Olympia to shop for a couch. Bingo! Here it is! Gets delivered next week! All that shopping made us hungry so we tried a local pizza shop that was pretty good. I was lucky to have lunch with this guy. 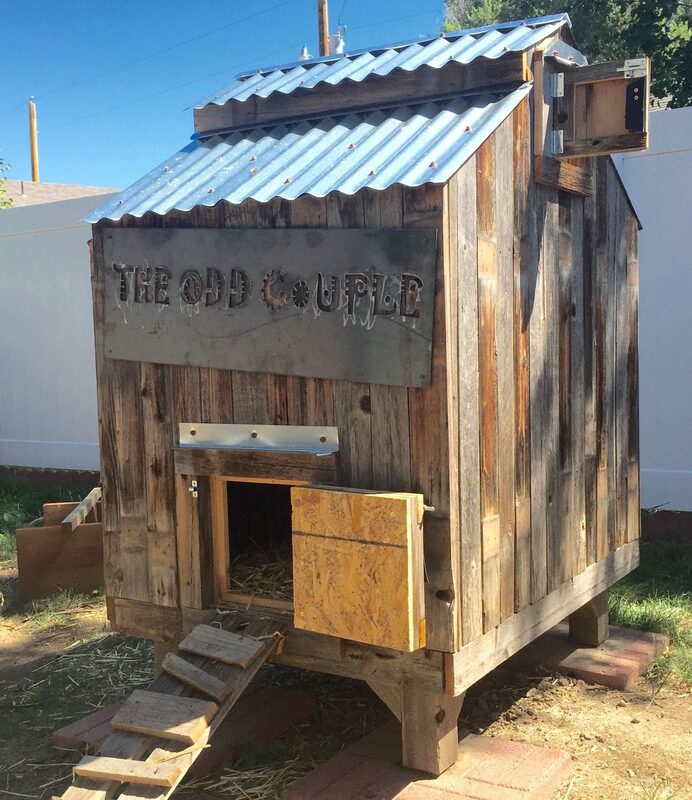 Then we came home and worked on a couple more chicken waterers. And we were thrilled to see Flower on the roost! We hung up our hummingbird feeder. I saw one a couple days ago flying around my fake flowers. Then the work began, Mark and I cut down this obnoxious weed and burned them. The area looks so much better. That was a lot of hard work!!! But looks so good now. Funny thing now you can see the crater Mark created when we burnt a HUGE wood pile.